More and more charities are looking to integrate their communications activity across all aspects of their organisation. 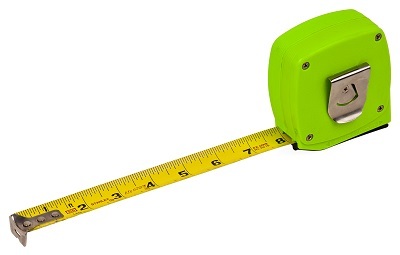 But how can you measure whether your integrated comms have hit the spot? Planning how you’re going to evaluate your communications is a key part of any integration process. Agreeing measurement parameters across all parties is vital and needs to happen at the very start of the process. Do this even before you begin to evaluate who you’re going to talk to and which channels will be employed. In an ideal, integrated world, metrics should be shared and evaluated across departments. The type of metrics you might use to measure your brand include: awareness (prompted and spontaneous), understanding, distinctiveness, personality, relevance, trust and consideration to support. There are several tools available to measure these including: nfpSynergy’s Charity Awareness Monitor, YouGov’s Charity Index and, the Charity Brand Index published by ThirdSector and Harris Interactive. Online ‘buzz monitoring’ (also referred to as ‘social listening’) is becoming increasingly common. This refers to the action of monitoring the organisation's online sentiment – in essence, how people talk about the brand. Other measures give an indication of the efficacy of your communications and can be monitored should they coincide with your objectives. They include: the number of website visitors, helpline calls, service users, volunteers, members or campaigning actions taken. There are various planning and evaluation tools which can help you identify, either for an on-going campaign or a specific communication, precisely what it is you're trying to achieve against selected criteria. You can then build your evaluation framework with that criteria in mind. By deciding on specific outcomes to track, you can build up a bank of important data that proves the impact full integration can have on a campaign. This provides important evidence to your senior management team that you’re making progress towards specific long-term goals. For example, a proxy measurement for reducing alcohol-related illness might be the number of arrests made for alcohol-related problems. Of course, measuring usual outputs, like press cuttings, click-throughs, retweets and how many people sign up for direct debits, will also help evaluate the impact of your work. At the end of a campaign, evaluation becomes part of your cycle. In-depth evaluation provides highly useful feedback for your next campaign briefing. The biggest challenge of integration is to move beyond trial campaigns to a deeper level of integration. Some of what you learn through adopting a more integrated approach to communications won’t be easy to fix. For example, with more insight into how your audiences respond to what you do, you could find that you need to rethink a particular aspect of your work. Athough problems like these might require more resources at first, solving them will help you achieve your organisational objectives in the long term. Perhaps you’ll discover that your most effective fundraising ask came from someone in policy. Or a creative concept for a trial campaign came from one of your services team. Integration brings to the fore a huge amount of creativity, ideas and insight across charities. Often, untapped potential can remain hidden in organisations that operate mostly in silos, so acknowledging this in evaluation reports, or with colleagues, can help change the status quo. This is an extract from One voice: a Best Practice Guide to integrated communications. Download your free copy of the full report.